Mr Richard Lyon joins One&Only with over 40 years’ experience in the hospitality industry, including key positions at Virgin Active, The Landings in St. Lucia, Marriott International, as well as his own hospitality consultancy business. He started his career in the Management Operations Training Programme at the Savoy Hotel Group, spending extensive time at both The Savoy in London and Hotel de Crillon in Paris. 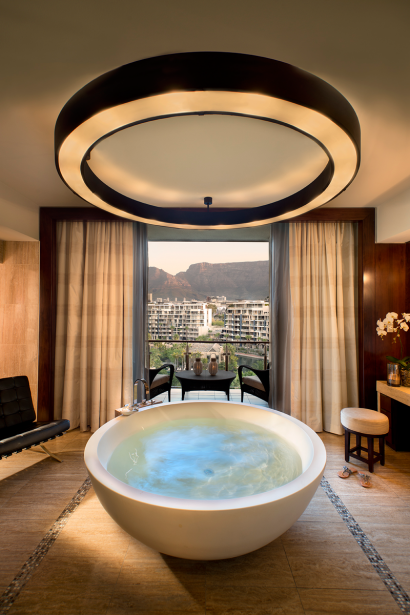 One&Only Cape Town is a destination unto itself – an urban chic waterfront resort providing an unprecedented level of luxury in South Africa. 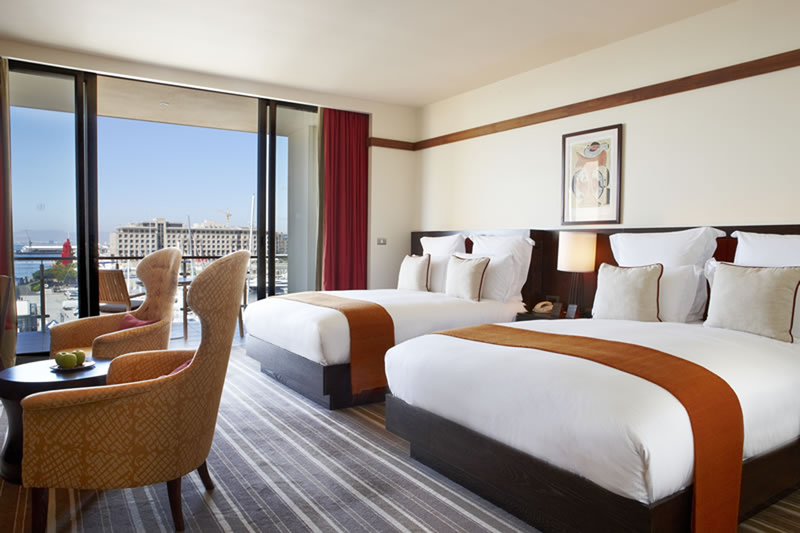 In the heart of the picturesque Victoria & Alfred Waterfront with captivating views of Table Mountain, this contemporary resort features the largest accommodation in all of Cape Town, with a stylish island design and African flair accentuating the 131 spacious guest rooms and suites. 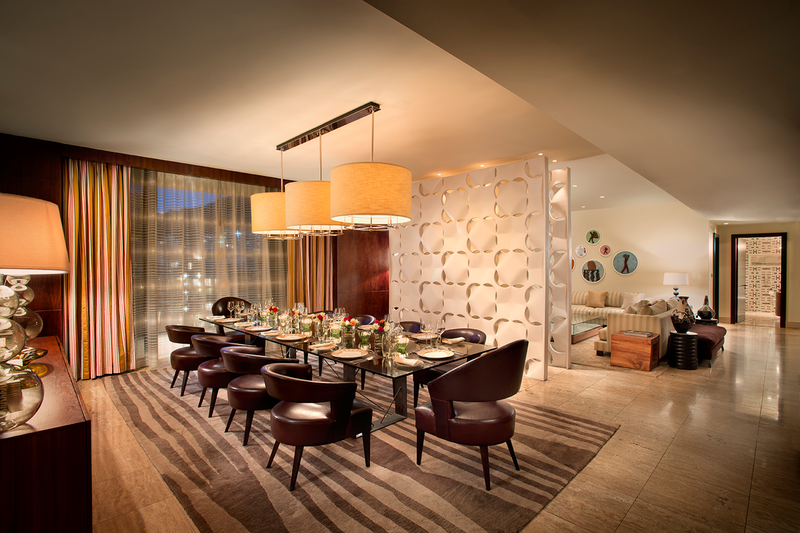 Within the lobby of the seven-storey Marina Rise, guests can experience the continent’s only restaurant by legendary chef Nobuyuki “Nobu” Matsuhisa, where the upper level Nobu bar features a selection of Sakes including plum wines, Japanese beer and a selection of Sake and Shochu based cocktails. Welcoming to both couples and families, Reuben Riffel captures the essence of the South African spirit and pride with his first urban restaurant, Reuben’s, which is known for his acclaimed local flair and wholesome bistro fare, is also open for breakfasts, lunch and dinner. 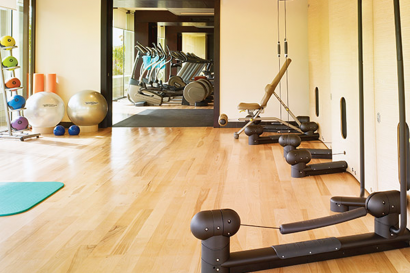 Every guest, every day – focussing on bespoked guest amenities, itinerary planners and special attention to personal preferences and dietaries. The dedicated, fully-supervised KidsOnly programme welcomes children ages 4 to 11 with an enriching collection of activities that showcases the exuberant personality of Cape Town. A separate programme is available for teens as well. Situated at the center of Cape Town’s Victoria & Alfred Waterfront, overlooking the marina and with panoramic views across to Table Mountain, the 131-key One&Only Cape Town resort is a chic resort offering unrivalled dining and a private Spa Island. 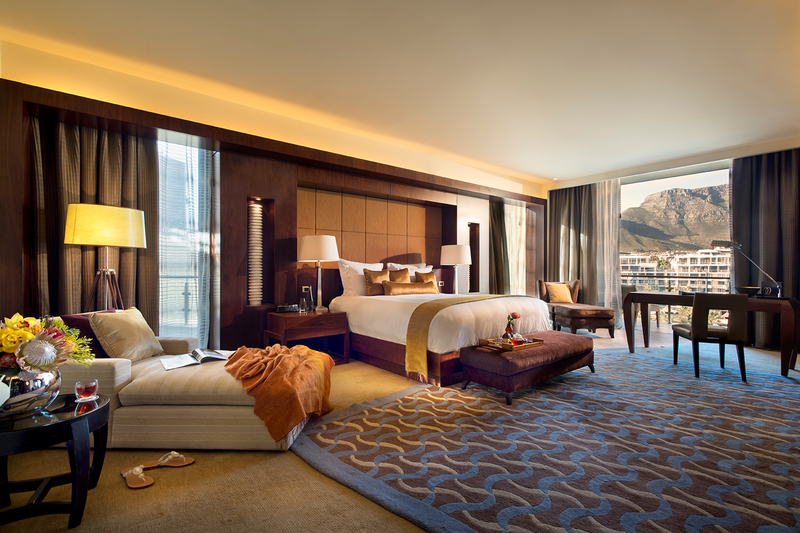 • Forty of the resort’s spacious rooms and suites are set on an adjacent lush green landscaped island in the marina itself, giving these rooms a distinctive resort feel and convenient access to the Spa Island. 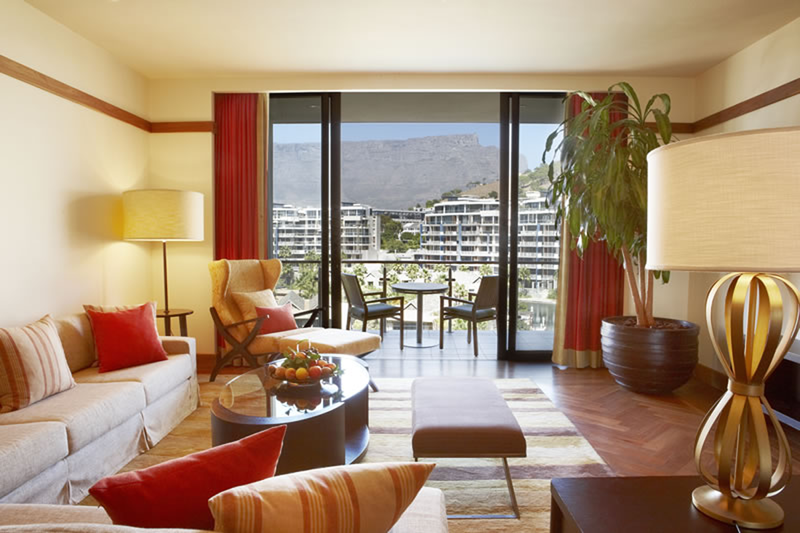 The resort’s rooms and suites, the largest in Cape Town with a minimum size of 63 square metres, all have a private terrace or balcony. The rooms at the 91-key Marina Rise have panoramic views of Table Mountain. Indulged with every conceivable luxury, the Presidential Suite features a gorgeous living space, private kitchen and two bedrooms, each with its own King-size bed and decadent bathroom. 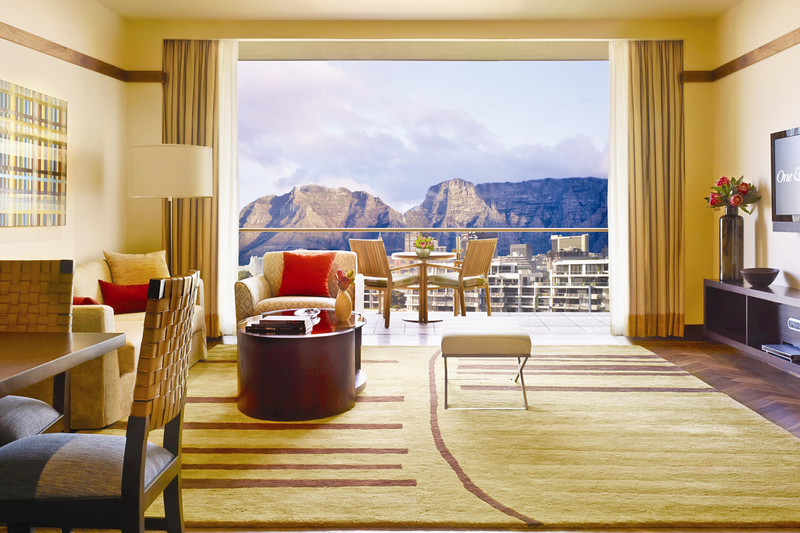 Awe-inspiring views of Table Mountain and the Victoria & Alfred Waterfront are enjoyed throughout the entire space. 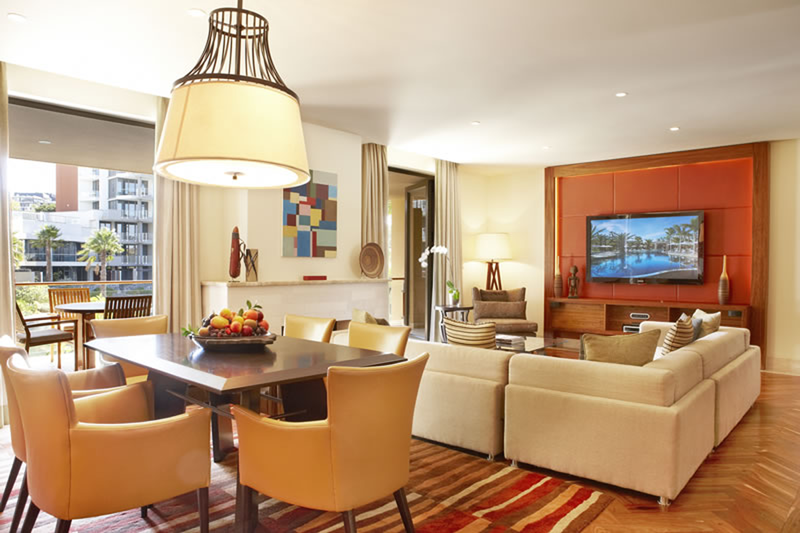 The expansive space of this spectacular suite is appointed with the finest amenities and state-of-the-art technologies. Even with only one bedroom, the suite’s exceptional design incorporates a 12 seat dining table making it ideal for social or business gatherings. • Nobu, contemporary Japanese cuisine with Peruvian influences by Michelin –star chef Nobuyuki Matsuhisa. 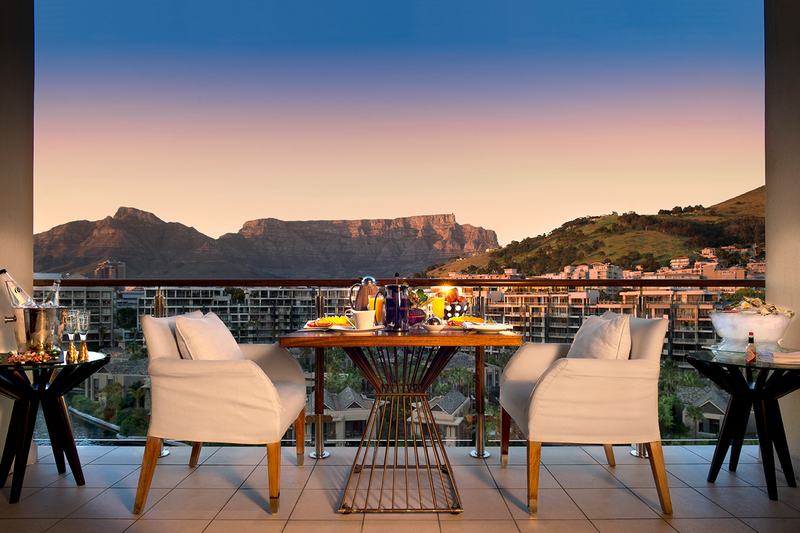 • Reubens, South African cuisine by celebrity chef Reuben Riffel. 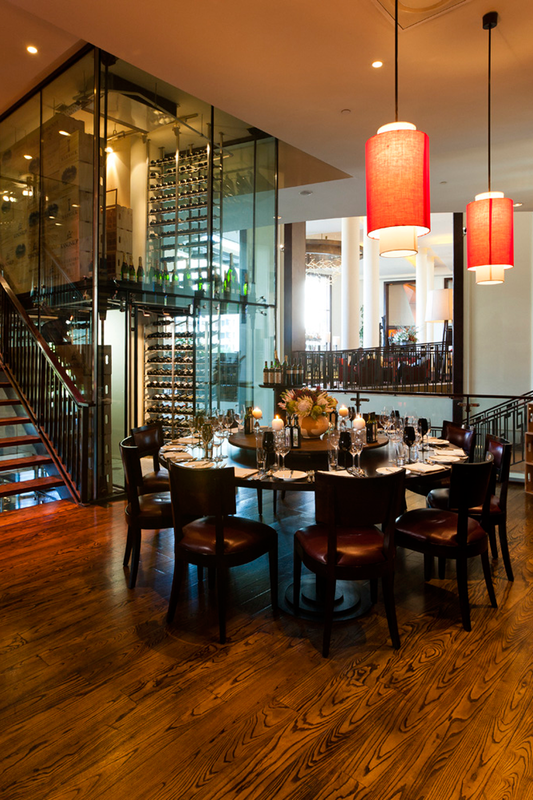 • Wine Loft, a collection of 5 000 bottles and a spectacular tasting room. • Isola, a combination of Mediterranean and South African cuisine. Conde Nast Traveler (US) Reader’s Choice Awards 2016 – #8 Top Hotels in Africa & Middle East One&Only Cape Town. 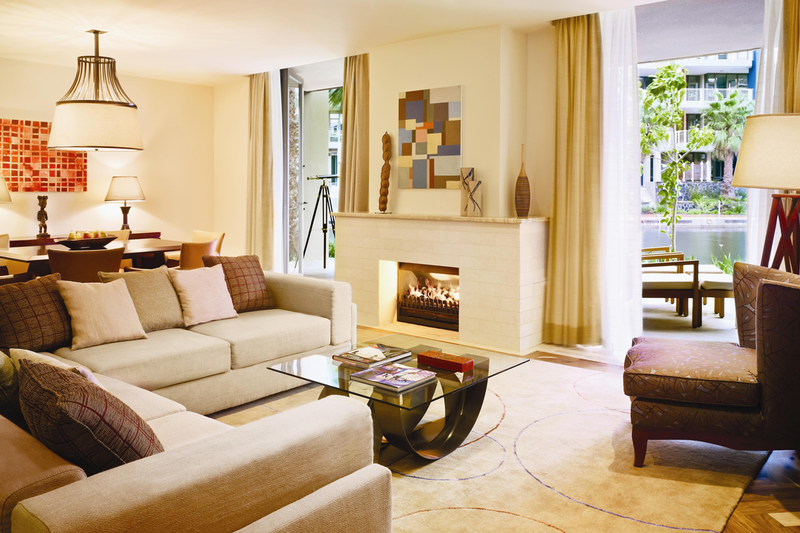 Celebrated Living – Summer 2011 – Honored with an Editors’ Mention, meaning a recognition by the editors of Celebrated Living for excellence.